The company this week announced it will invest $850 million in a solar power plant through a partnership with First Solar, one of the nation's largest photovoltaic (PV) manufacturers and provider of utility-scale PV plants. 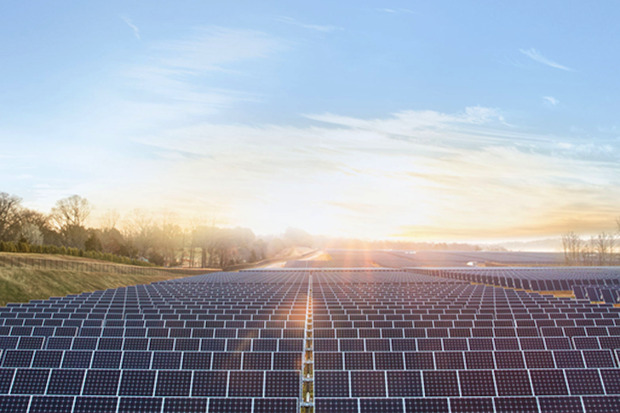 Through a 25-year purchasing agreement, Apple will get 130MW (megawatts, or million watts) from the new California Flats Solar Project. "This deal is like an insurance policy for Apple; the sun will still be shining 25 years from now, so Apple can be sure they will be getting emissions-free power at the same reasonable cost -- even in 2040," said Amit Ronen, director of George Washington University's Solar Institute. The new solar project is notable for a number of reasons, not just its size, which is 280 megawatt (MW) of alternating current located on about 2,900 acres. "First, from what we can tell, this is the largest commercial solar deal ever in the U.S.," Ronen said. "And it's a pioneering example of how a major retail electricity customer can go to the market to obtain the kind of power they want to receive at a competitive price." An even larger 750MW solar facility has been approved and will be built by McCoy Solar Energy, "and even larger solar power plants have been proposed in India," Ronen said. "It's a huge project. This is a really significant investment by a single company in solar power. Apple is really taking it to the next level with its commitment to renewable energy," Johnson said. According to Apple CEO Tim Cook, the new project will cover 1,300 acres in an area about an hour south of Apple's Silicon Valley headquarters. That area is the equivalent of about 1,000 football fields. Cook said the plant will generate enough energy to power Apple's entire operation in California. "More and more companies nationwide are beginning to invest it solar energy for both economic and environmental reasons," Johnson said. 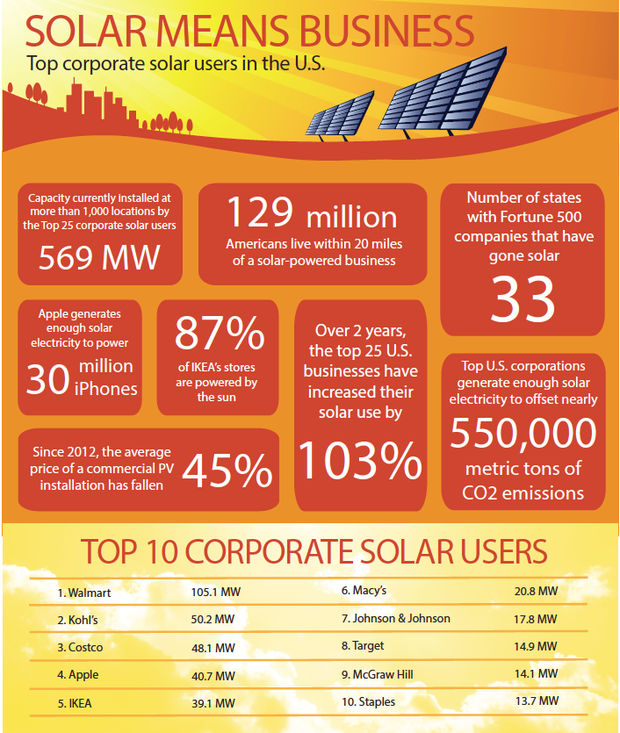 Top corporate solar users in the U.S.